Don’t forget that Wednesday is a holy day of obligation for Catholics. it is the Feast of the Immaculate Conception. I will doing two radio shows Wednesday morning: 1) on Relevant Radio with Sean Herriott at 7:00 AM and 2) on the new Catholic Community Radio WPYR 1380 AM in Baton Rouge Louisiana at 8:30 AM Eastern time. In the evening I will be speaking at the Holy Rosary Cathedral in Toledo Ohio. I would suggest coming here just to see the magnificent church. The first time I walked in I felt like I was entering one of the stunning churches of Europe. This talk will be at 7:00 PM after the 6:00 Mass. UPDATE: The show in Baton Rouge (“next door” to Jimmy Swaggart) can be heard on the archived show here. You will have to move the tab to about the middle of the show which is where i talk about the Immaculate Conception. 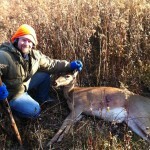 Last week my son shot and butchered a deer on our land and we have been eating venison ever since. 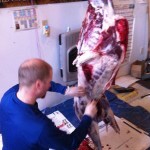 It took the family a day to skin, butcher and prepare the meat. Almost everyone was involved. My daughter-in-law had been reading Laura Ingalls Wilder’s The Long Winter and how they had to hunt for their food on the frontier. How far we are from that today. 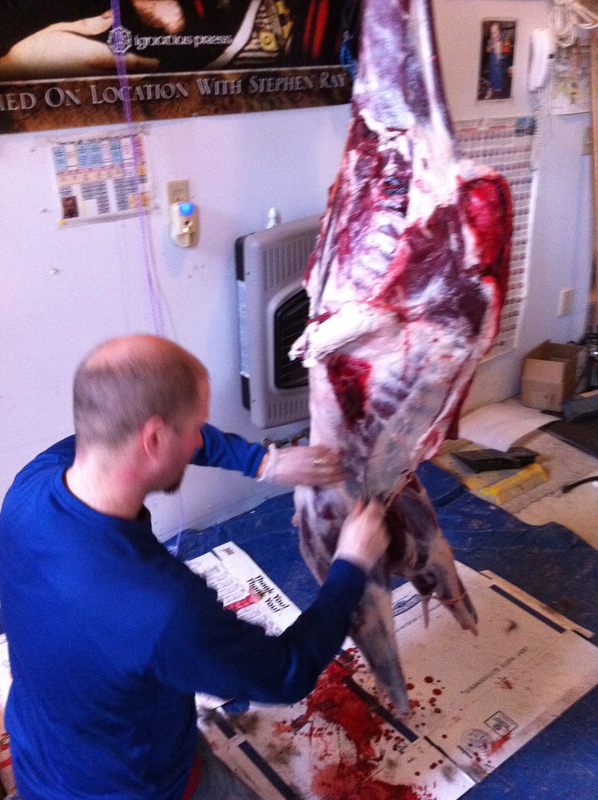 Anyway, here is a picture of my son Jesse skinning and preparing the meat in our garage. The picture to the right was sent by Tim Staples. 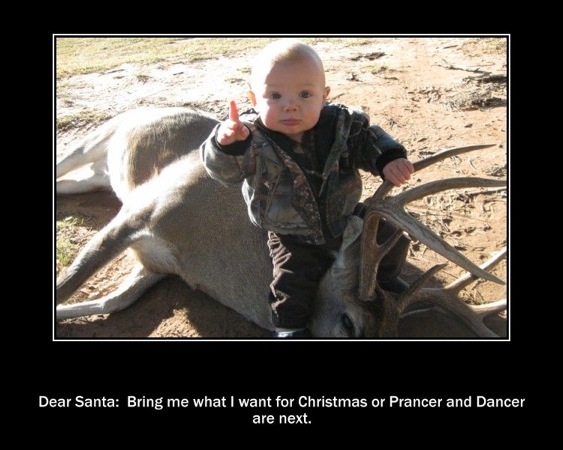 Reminds me of my grandkids. I thought it was pretty cute. 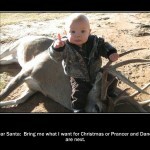 You have to click on the images to see them bigger or to read the little kid’s words. 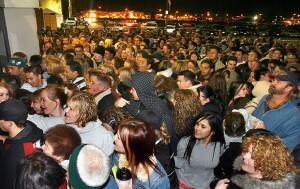 “Writing an article about “Black Friday” at our parish. First Friday Adoration – not enough people sign up to sit with our Lord. A few of us fill in and make sure He is not alone. “Few weeks later local paper shows people literally camping out in the cold outside of Wal-Mart. Four of us at morning Mass. How do people expect to make life’s journey without food for the road? Angelic Twaddle is a blog that has humor with a conscience. You may want to check in with Louis Hall for a light diversion once in a whiile at www.Angelic-Twaddle.blogspot.com. Louis is father of six and they are all homeschooled.